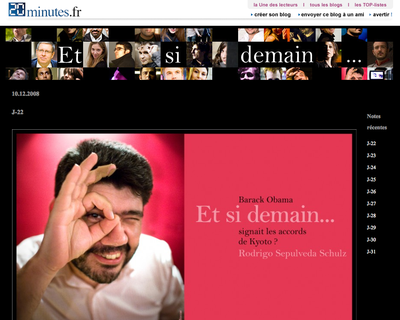 Page du débat chez Frenchweb. 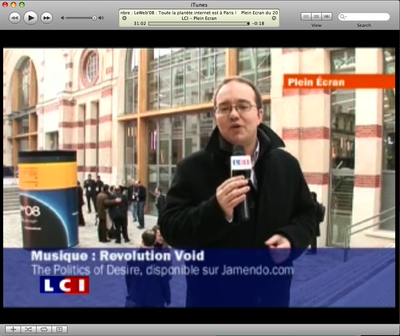 Oups, caught on TV doing emails, originally uploaded by rsepulveda. 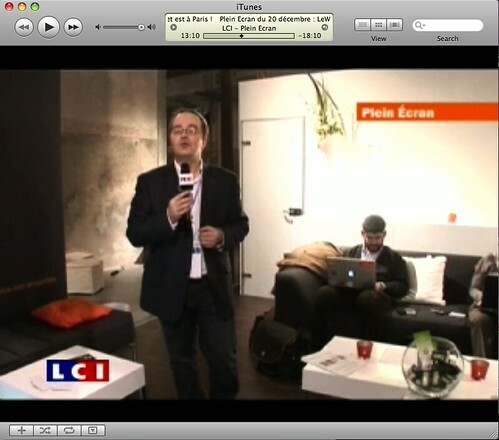 By the way, this podcast is a great summary of the startups presenting at LeWeb'08. Nice sliver of Lingueo from my friends Arnaud and Guillaume ! update: I also show up in the background in the closing credits while Guido van Nispen takes a pix of me and Yossi Vardi... amusing. My quote for this Xmas advent calendar : and what if "Barack Obama signed the Kyoto protocol ?"